Renae D. Mayes, PhD, NCC is an assistant professor and director of the School Counseling Program in the Department of Counseling Psychology and Guidance Services. She completed her PhD in counselor education at The Ohio State University, after completing degrees at the University of Maryland, College Park (MEd in school counseling) and University of Missouri (BS in middle school math and social studies education). Mayes’s line of research focuses on students of color in the k-16 pipeline in three areas including gifted education, special education, and urban education. ​Dr. Erik M. Hines is an assistant professor in the Department of Educational Psychology at the University of Connecticut. 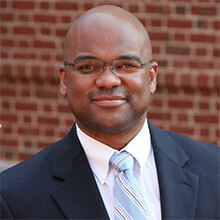 Dr. Hines teaches in the counseling program and prepares graduate students to be professional school counselors. Dr. Hines’s research agenda centers around: (a) African American male academic achievement and college readiness; (b) parental involvement and its impact on academic achievement for students of color; and (c) improving and increasing postsecondary opportunities for first generation, low-income, and students of color (particularly for African American males). 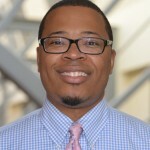 Additionally, his research interests include career exploration in the fields of Science, Technology, Engineering, and Mathematics (STEM) for students of color in K-12. His research has appeared in peer-reviewed journals, such as the Journal of Counseling and Development, Professional School Counseling, and The High School Journal. Dr. Paul C. Harris prior to joining the Curry faculty, I served as a high school counselor for several years. My practice, research, teaching, and service are conducted through a paradigm shaped by equity and access. My research agenda focuses on promoting student athlete wellness with emphasis on college and career readiness, and the role of K-12 school counselors and intercollegiate athletics stakeholders in this process.